This recipe is the property of Foment_life and released under the CC Attribution-NonCommercial-Sharealike 4.0 license. You may not copy, derive or commercialize this recipe without following the terms of this license or the explicit permission of the creator. 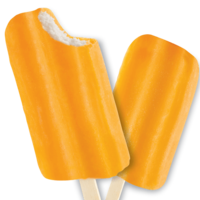 Spot on Orange Dreamsicle. Perfect amount of chill and while fantastic as a S&V, give it a day for the Blood Orange to mellow out and it is absolutely perfect.